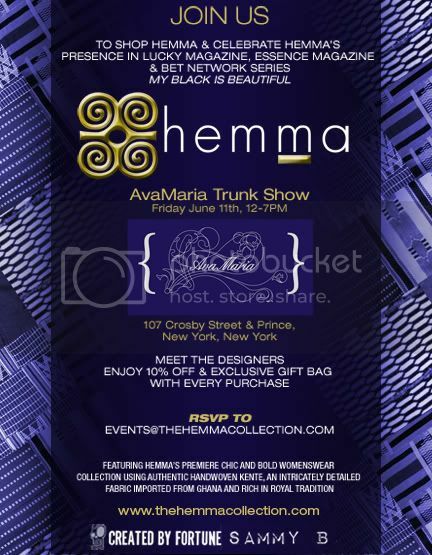 Friday June 11, 2010, Hemma is having a trunk show in Soho to showcase the collection. This African-inspired and 100% eco-friendly line will have all their delectable pieces available. A percentage of the sales will be going to La Yahoushua middle school in Ghana.